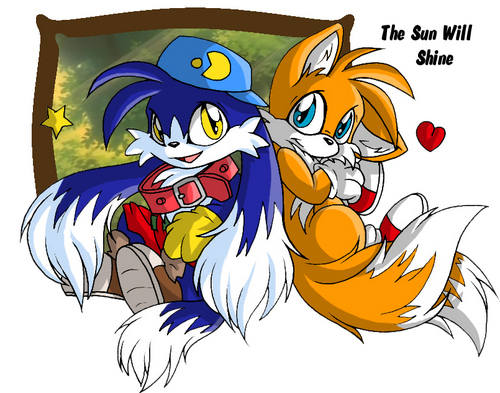 Klonoa and Tails. Tails has a new friend.. HD Wallpaper and background images in the Miles "Tails" Prower club tagged: tails klonoa. This Miles "Tails" Prower fan art contains anime, comic kitabu, manga, cartoon, and mkono. The flying two ears and tails. I believe Klonoa could make a great friend to Tails. They looks so alike! The first time I saw Klonoa, I thought he was a new sonic character!!! No joke!!!!! I remember Klonoa she was cute but after Fiona and all that I got attached to Cream. Klonoa is a boy and i agreed both looks good has friends. I thought he was fan made.